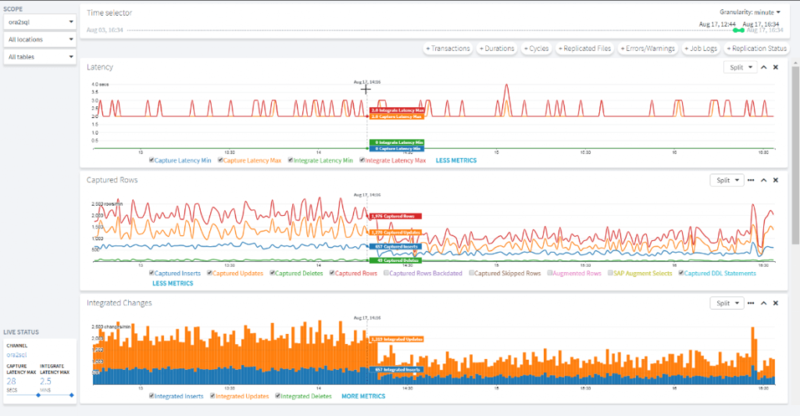 Insights is a powerful, intuitive, graphical interface for monitoring data integration performance. This feature will enable you and your team to move beyond simply monitoring and reporting on their real-time data integration health, giving them more control in managing their complex data transfers. As you move high volumes of data across your environment, visibility and management is critical. HVR offers reporting and monitoring features that enable you to monitor your data flow in real-time. Beyond Insights, you also have the option to output your data into a RDBMS, Excel spreadsheet or third-party reporting tools. HVR’s monitoring function gives you a centralized view in a single window and can be integrated into your enterprise monitoring solution including Slack.